the AMERICAN EXPRESS COMMUNITY STADIUM, FALMER. to face South Coast rivals Southampton in the Premier League. Palace on the 9 March. Duffy (67) and Glenn Murray (91, penalty). first-half turned out to be a non-event with neither team having a shot on target. The first serious action of the second-half saw Southampton take the lead on 53 minutes. and three vital points for the Saints. Final-score 0-1. Button (G/K), Dan Burn, Gaetan Bong, Beram Kayal, Jose Izquierdo. Bennett. Fourth Official: Graham Scott. Possession: Albion - 60%. Southampton - 40%. Match Sponsors (Brighton Tools & Fixings) Albion Man of the Match: Bernardo. Stamford Bridge in a Premier League encounter. Montoya, Bernardo, Anthony Knockaert and Glenn Murray. Ross Barkley, Pedro, Gonzalo Higuain and Willian. Eden Hazard (33). Solly March (66) replied for the Seagulls. Giroud at the near post. 0-1. Half-time 0-1.
with only keeper Arrizabalaga to beat. Final-score 0-3.
to ensure they retain their hard-earned Premier League status. 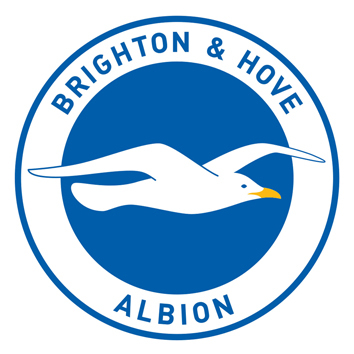 Possession: Albion - 32%. Chelsea - 68%. EMIRATES FA CUP SEMI-FINAL. "LIVE" ON BBC1.